Your journey towards crystal clear skin begins with the PITERA Welcome Set. This 3-step introductory kit contains the must-haves for beautiful skin featuring SK-II's signature product, Facial Treatment Essence (75ml), with over 90% PITERA Welcome Set. Also included are Facial Treatment Clear Lotion (30ml) and R.N.A.Power Radical New Age (15g). Used together, your skin will become firmer, smoother, and more radiant. Use Facial Treatment Clear Lotion after cleansing to tone your skin and prepare it for the rest of your skincare. 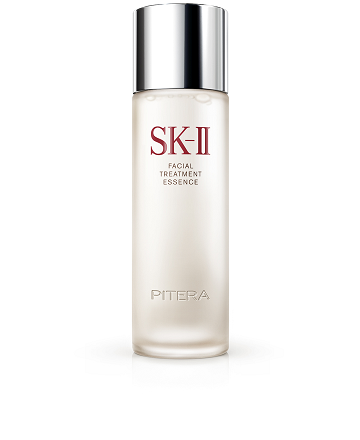 Next, use Facial Treatment Essence to gently exfoliate your face and help moderate the skinâ€™s surface renewal cycle. 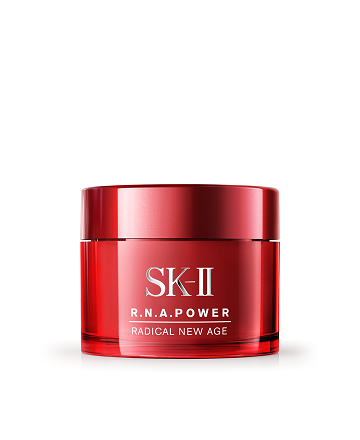 Finally, complete your regime with R.N.A.Power Radical New Age to reactivate key signs of youth and fight against visible signs of aging. skin to retain its natural functionsÂ¹, keeping it crystal clear. PITERA Welcome Set contains components that are similar to the natural moisturizing factors (NMF) found in healthy skinÂ², helping to retain hydration and radiance. Skin stays smooth even when exposed to pollutants that can cause dullness, dryness and wrinkles. PITERA Welcome Set prevents skin surface damage like dullness and loss of radiance caused by external aggressors such as UV, so skin stays radiant and clear. Over 35 years since its launch, the much-loved Facial Treatment Essence has won numerous international beauty awards. containing 50+ micro nutrients â€“ full of vitamins, amino acids, minerals and organic acids and more. for healthier-looking, more radiant skin. to your T-Zone, concentrating on oily areas. Step 2: Continue massaging from the chin towards your jawline and cheeks. Step 3: Finish by gently wiping your neck from the bottom to the top. Step 1: Soak a cotton pad with Facial Treatment Essence. Step 2: Gently smooth onto your face and neck for 1 minute. Step 1: Take a pearl-sized amount of R.N.A.Power Radical New Age. Step 2: Use fingertips to dot on forehead, cheeks and chin. Step 3: Spread it softly from the centre outward, across entire face.